I do not have anymore MacPro1,1 at hand to test on it. But if a MacMini2,1 takes it, no worries Macpro1,1 & 2,1 will do has others machines. but pikerAlpha has worked on it and made his own branch. It’s now referred as Pikeralpha boot.efi branch (based on Tiamo’s boot.efi work). Hennesie2000 has compiled it and made it available on the post. Those code killers (at least) and all others members on this thread are now to be rewarded. Slight changes have to be made to the script to get it working. I’m confident to say that based on all the work done here SFOTT should be able to build YOSEMITE installer as it did for Mavericks. I’ve already worked on Most of the Code, but I still have to include mandatory new steps. 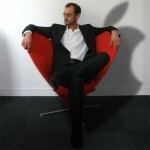 Follow above Macrumors thread if you want to know more. 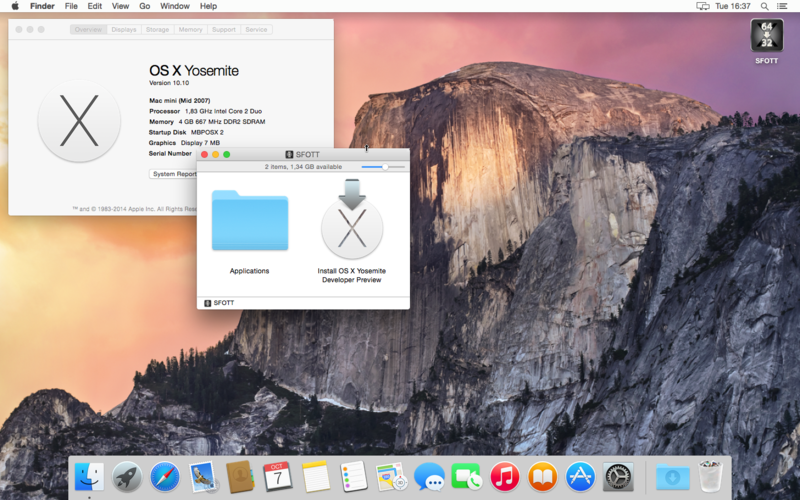 I’ll do my best to release a new SFOTT for YOSEMITE Beta and DP-GMC version this upcoming week-end. I actually used for a test the GMC1 released few days ago. I’ll test the public Beta, too and it already included as an option on the SFOTT script. I also did the update of the GMC 2 released yesterday. directly from the AppStore. Boot time is longer, many errors show up and loging time is really long and bugged. Then once display sleep comes up, and I wake it up, then it’s ok.
For me it is clearly due to the graphics. 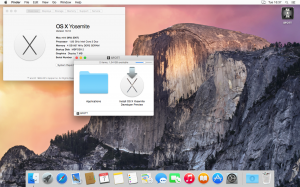 – Installing Mavericks and now Yosemite is one thing. – Getting a usable System is another thing. Now this said, MacPro and Xserve 1,1&2,1 should go smoothly with adapted video card.